What matters to local communities in the Greater Kruger? In preparing the 10-year management plan for the Kruger National Park last year, SANParks conducted 54 stakeholder engagement workshops, involving over 5,700 participants, with communities neighbouring the reserve and other stakeholders across the country. It is notable that the primary concern of the community members neighbouring the Kruger Park was firstly jobs, followed by damage causing animals. Human-wildlife conflict around the reserve is a concern and involves impacts from species such as elephants and hippos damaging crops and infrastructure, lions and other predators killing livestock, the transmission of diseases like foot-and-mouth disease by buffalo, and threats to human life associated with all of these species. It is also notable that the stakeholder engagement workshops held in Johannesburg (21 people), Durban (24 people) and Cape Town (11 people) were poorly attended. 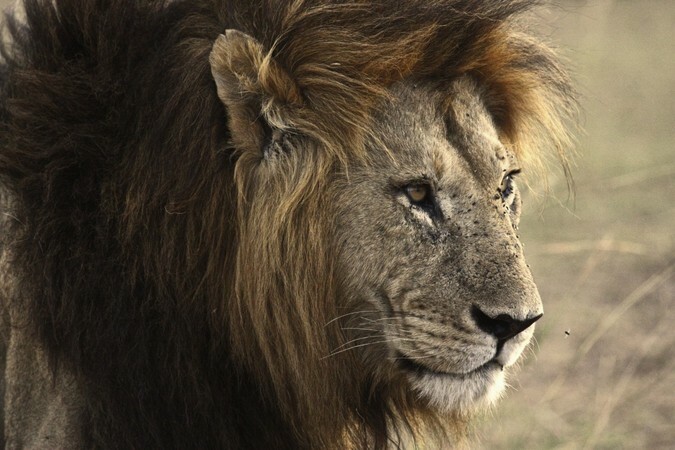 In contrast, following the hunting of a lion in Umbabat, which is part of the Associated Private Nature Reserves (APNR) and is open to the Kruger Park, last year, there was a huge uproar akin to the controversy that followed the hunting of Cecil the Lion in Zimbabwe several years ago. This led to a major meeting held in Johannesburg, attended by SANParks, provincial conservation officials and a significant number of members of the public. Some questions this raises are: where were these predominantly privileged, middle class people when the management plan workshops were being held? Why is the hunting of a single animal so disproportionately more important than the conservation management of the entire reserve? Hunting has emerged as an increasingly contentious issue in the APNR, which is open to the Kruger National Park. This against the backdrop of some severe missteps in the wildlife industry, such as some unethical hunting practices and the recent financial bubble associated with the intensive breeding of rare and colour variant species. Such incidents have tarnished the reputation of South Africa’s wildlife industry and have exposed the extreme profit-driven motives of some. Nevertheless, it is important that we make the clear distinction between responsible and sustainable hunting practices that are properly regulated and policed; and hunting practices that are irresponsible and unsustainable. Responsible hunting should be considered in its proper perspective and many of the conservation gains made in recent decades in South Africa should not be jeopardised by its exclusion due to the malpractice of some. Sustainable utilisation is central to the philosophy of conservation in South Africa and southern Africa and is a primary driver of its success. It is the reason that 30% of the planet’s white rhino exist on private property in South Africa and it was central to hugely successful initiatives such as the CAMPFIRE programme in Zimbabwe and the massive gains that have been made in recent years in the conservation sector in Namibia through its Community-based Natural Resource Management Programmes. All of these initiatives enable landowners and communities to gain economic and financial value from their wildlife through sustainable utilisation, which includes all forms of hunting. This contrasts with the recent hunting ban imposed by the Botswana government. In a study undertaken by Mbaiwa (2017) published in the South African Geographical Journal, it was found that following the hunting ban, there was a reduction of benefits to local communities such as “income, employment opportunities, social services, scholarships and income required to make provision of housing for the needy and elderly”. The study also found that the hunting ban “led to the development of negative attitudes by rural residents towards wildlife conservation and the increase of incidents of poaching in Northern Botswana”. The newly elected Masisi government in Botswana is considering reversing this hunting ban and it is noteworthy that this is being considered in light of restoring accountable democracy and respect for human rights. The inability of rural communities in Botswana to benefit from wildlife and the daily risks they face to their survival and livelihoods from wildlife impacts have been acknowledged, together with an acknowledgement that the provision of rights to rural communities in this regard is to the benefit of wildlife conservation. In an analysis of this by Madzwamuse and Rihoy (2019), they highlighted that “Addressing the conservation problems in Botswana must start by building understanding and common ground between stakeholders with varying perspectives. At the heart of this must lie recognition of the rights of rural people and from this, alignment can be reached between rural communities, governments and the global conservation community. Recognising these rights would ensure that the benefits and the risks of protecting wildlife are collectively shared, reversing the current situation, which places the burden on marginalised communities and provides benefits to a small elite”. Following several hunting-related incidents in the APNR in 2018, questions have been put to SANParks about hunting in what is perceived as the Kruger National Park. This issue came to a head in a colloquium in parliament, earlier this year, in which SANParks was heavily criticised for hunting in the open system of the Greater Kruger Area and the legitimacy of the cooperative agreement for the Greater Kruger Area, that had been signed at the end of 2018, was questioned. The incidents highlighted relate to the hunting of the lion in Umbabat and two incidents related to the hunting of elephant in Balule. In the first incident an elephant bull was shot and was subsequently found to have a tracking collar on. 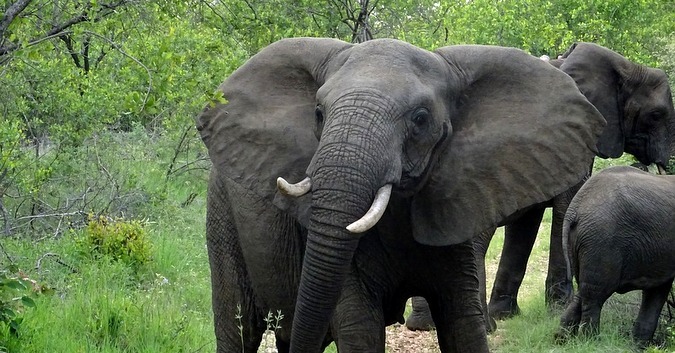 In addition, the APNR Hunting Protocol was breached when it was found that the elephant had been shot in the Mpumalanga section of Balule when the permit had been issued by the Limpopo authorities, meaning that the elephant should have been shot in the Limpopo section of the reserve. 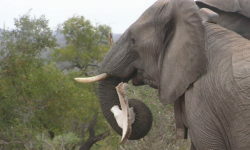 Subsequent to this event, the Mpumalanga authorities prosecuted the reserve representative, he pled guilty, and was fined an amount of R100,000 of which R40,000 was paid to Elephants Alive – the research organisation that had collared the elephant, to compensate for the costs of having to replace the collar. 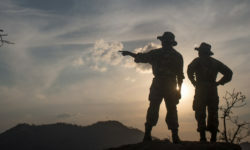 In the second incident, a group of hunters were charged by an elephant, in close proximity to a tourist lodge, and shot and killed the elephant. The incident, which occurred about 800 metres from the lodge was witnessed by visitors at the lodge and was particularly traumatic, as multiple shots were fired at the charging elephant. In this case, although the incident was unfortunate, the hunting party had complied with the APNR Hunting Protocol and were in possession of the correct permits. 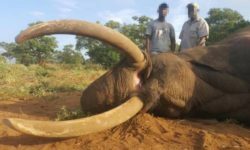 The incident arose because the hunters felt that the elephant had made a life-threatening charge and they were compelled to shoot it. Following this incident, it was agreed that the hunting protocol needed to be reviewed to avoid a repeat of such incidents in the future. It must be noted that the reserve management and authorities responded to these incidents by either prosecuting offenders or updating protocols, which underpins efforts to ensure responsible hunting and continual improvement in hunting practices in the APNR. It is important to put the APNR into context. 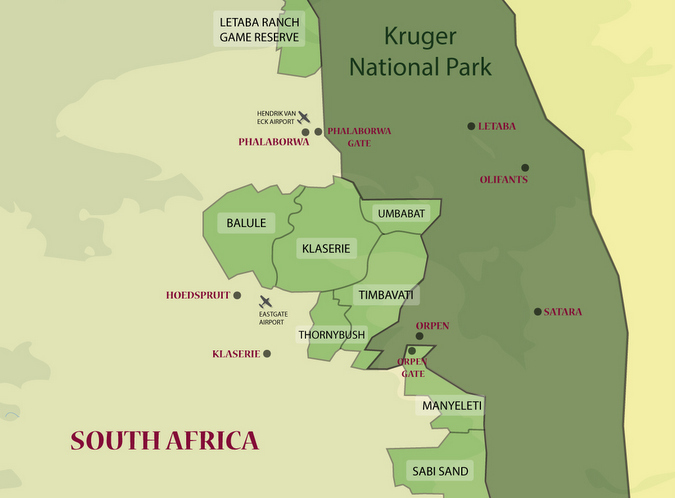 Although open to the Kruger Park, it encompasses Balule, Thornybush, Timbavati, Umbabat and Klaserie Private Nature Reserves, which collectively make up an area of approximately 250,000 hectares. 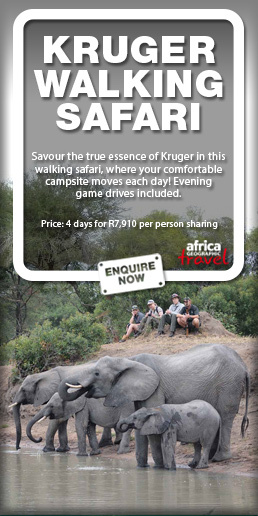 The APNR is thus equivalent in size to Addo Elephant National Park and Hluhluwe-iMfolozi Park combined. Claims that the animals being hunted in the APNR are Kruger Park animals are thus disingenuous. The size of the APNR means that it is perfectly capable of maintaining large viable populations of species typical to the Lowveld region, including the Big 5. The APNR adds considerably to the area of the open system of the Greater Kruger and contributes significantly to a large landscape-scale conservation initiative that can justifiably be considered among South Africa’s most significant conservation success stories. In December 2018 a cooperative agreement, under the auspices of the Great Limpopo Transfrontier Park Treaty, was signed between all protected areas that make up the open system of the Greater Kruger Area, adding another 360,000 hectares to be consistently managed. 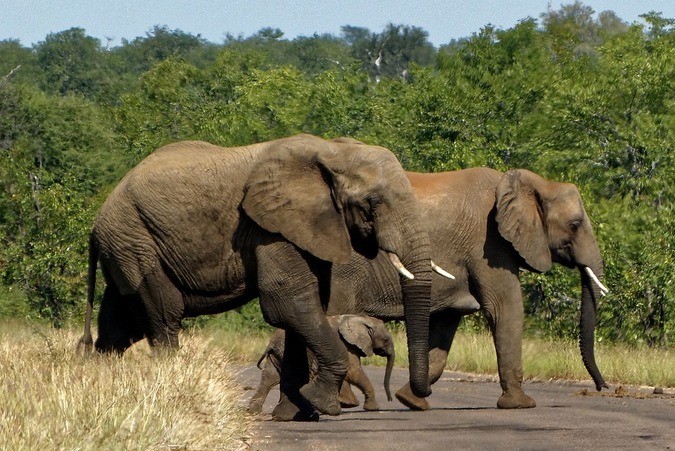 The Great Limpopo Transfrontier Park encompasses protected areas in Zimbabwe, Mozambique and South Africa and is one of the most important conservation initiatives in southern Africa. The cooperative agreement is ground-breaking as it establishes a framework for cooperative management and collaboration between state, privately-owned and communally-owned protected areas. This massively exciting initiative will enable landscape-scale ecosystem management issues to be undertaken in an integrated fashion and it will enable the huge socio-economic value of the Greater Kruger Area to be unlocked. Importantly, in terms of hunting, the existing APNR hunting protocol will form the basis for a Greater Kruger Area hunting protocol, which will ensure that any hunting that takes place outside of the Kruger Park but in the open system of the Greater Kruger Area, is based on scientifically-determined offtakes, that consider demographics and avoid a focus on large-gene animals (big tuskers for example). The APNR protocol sets stringent ethical standards for hunting (including sanctions against transgressors) and requires transparency in the expenditure of funds and the flows of income from hunting in the APNR. This sets an industry benchmark for good practice that will have to be followed by all reserves that are open to the Kruger National Park in which hunting may be undertaken. How can we deliver of the promises of the wildlife economy? South Africa has set hugely ambitious targets for the development of a national biodiversity and wildlife economy. At a six-week Phakisa known as the Biodiversity Economy Lab, hosted by the Department of Environmental Affairs and the Department of Tourism, the following targets for 2030 emerged: the transfer of 10 million hectares of land to previously disadvantaged individuals, the creation of 60,000 jobs across the value chain, and the development of 4,000 SMMEs (small businesses), owned and operated by previously disadvantaged individuals. 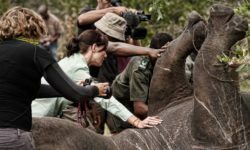 Although the targets are perhaps optimistic, it is commendable that South Africa has acknowledged the role that the wildlife industry can play in the national economy. The wildlife economy has the potential to re-shape our thinking and approach to rural development and land reform in South Africa and it is important to understand how central the Greater Kruger Area already is and will be to this process in the future. Tourism, including hunting, in South Africa is one of the few economic success stories over the last decade in the face of national and global recessions, and the most iconic tourism destinations in the country are Table Mountain and the Kruger National Park. The Kruger Park’s new management plan and the cooperative agreement provide the basis to expand the protected area footprint and drive the wildlife economy in a strategic, integrated and responsible fashion. It must be understood that hunting is an important component of this framework. The International Union for the Conservation of Nature (IUCN – the international umbrella organisation that represents almost all conservation authorities and NGOs worldwide) supports hunting, stating in its Guiding Principles of Trophy Hunting, “IUCN has long recognised that the wise and sustainable use of wildlife can be consistent with and contribute to conservation, because the social and economic benefits derived from use of species can provide incentives for people to conserve them and their habitats”. Properly managed, responsible, ethical and sustainable hunting is supported by many conservation NGOs and conservation professionals in South Africa. Opposition to hunting in the APNR does not seem to be considering the broad conservation sector and the rural communities living in the Greater Kruger Area. Because many of the groups opposing hunting are well funded and have strong voices, particularly in social media, their opinions in this debate appear to be disproportionately represented. This has real consequences for the communities that are affected each day by the impacts of wildlife and it has real consequences for South Africa’s wildlife economy programme and others related to community-based natural resource management. This must be viewed within the context of the major challenges that conservation in South Africa, and Africa generally, face. Most government conservation authorities are massively under-funded but the costs of conservation continue to escalate, particularly associated with priority issues such as rhino security. Conservation needs to effectively harness every resource that it can to be viable, whether this is ecotourism, hunting, the live sale of wildlife or the production of game meat. We need to understand that hunting is not a threat to conservation, it is one of the solutions, as it provides much needed revenue and the ability to compensate those whose lives and livelihoods are at threat from the presence of large and dangerous wildlife. The real threats are habitat destruction and fragmentation, ecological degradation from inappropriate land use practices, invasive alien plant species, climate change and a myriad of other issues. An integrated approach to conservation that incorporates hunting is required to tackle these challenges and secure South Africa’s biodiversity, its species and the ecosystem functions and processes that underpin all life on earth, including our own. The potential that the hunting controversy around the APNR has to derail the further development of the Great Limpopo Transfrontier Park and the implementation of its associated cooperative agreement is significant. We cannot afford the fracturing and fragmentation of the open system of the Greater Kruger Area that may result from this. It will set conservation in South Africa back 30 years and may irreparably damage the biodiversity and wildlife economy. Sustainable utilisation is enshrined in South Africa’s Constitution and Protected Areas Act and is central to our conservation philosophy. It is a vital component of our wildlife industry and must be defended if we are to properly unlock its benefits.